Suzanne has worked as a cocktail waitress, a roadie, a secretary and a barmaid at Coventry City Football Club. She was born in London, grew up in the Midlands and these days lives on the South Coast with her husband and dog (who often features in her blog posts!). There are three books in the series so far, with a fourth due out in February. You can read the first chapters of each book online at her website. 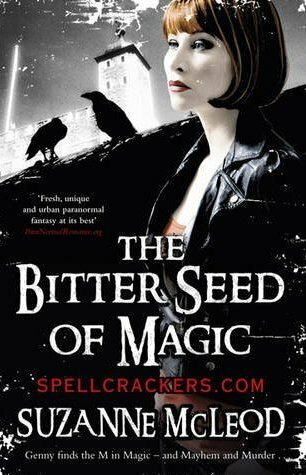 Suzanne will join author Ben Aaronovitch for a panel discussion about their books, the urban fantasy genre and having London as the backdrop for their characters. Suzanne and Ben are appearing on Saturday 10th September at 3pm. See the events page for more details and links to online booking. Ross Sutherland will be appearing at the poetry night on 15th September – we don’t know what he’ll be performing, but after spending the summer in Edinburgh we’re sure whatever it is will be great. The Times named Ross one of their Top Ten Literary Stars of 2008 (also on the list? Joe Dunthorne, who Ross performs alongside at the monthly Homework nights). Or if you fancy something a bit more conventional, here’s Ross introducing and reading his poem Casino Exit from his book Things To Do Before You Leave Town. The poetry night is happening at St Swithun’s church hall – see the events page for more details. It’s not all books, books, books around here. Head to St Swithun’s church hall tomorrow night at 7.30pm, hand over a fiver and you can see Steve Morrison and friends at the Marshmallow Blues Club. There’s even a bar. Alex is an author and illustrator of children’s books, but even as (technically) grown-ups we powered through and loved the first of his Mousehunter trilogy. Imagine a world where mice are highly collectible and have been bred for all different characteristics, and one young girl with exceptional mousekeeping skills stows away on a ship in search of the pirate Mousebeard. Encountering sea monsters and giants, is the quest for Mousebeard all it seems to be, or are there more powerful dark forces at work? The story is a top adventure but we also loved the drawings of different types of mouse that start each chapter, like the Howling Moon Mouse or the Dung Mouse, with Top Trumps-style facts. Alex will be sharing drawing tips and secret yeti knowledge on Saturday 10th September at 10am. See the events page for more information. In case you didn’t see, we’re running a poetry competition for young people in the borough – prizes include a £20 Foyles gift card and the chance to see your poem printed up and in your local library… There’s all the information you need on the Competition page of this site so you should probably just pop over there. One of the guest authors at the festival’s opening event, the Firestation Book Swap, will be Evie Wyld. 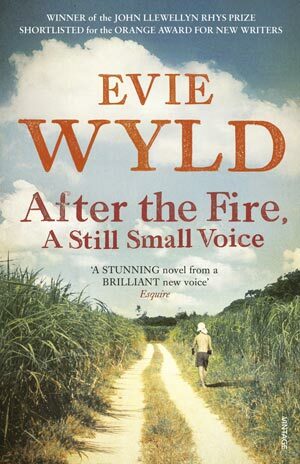 Evie won the John Llewellyn Rhys prize for her debut novel After the Fire, a Still Small Voice (which we read the first 60 pages of in the British Library recently, cursed not being able to borrow from there and immediately went out and bought). What’s it about? Well, we’re still devouring it, but it’s set in Australia in the present day and also flashing back to the Korean and Vietnam Wars. It’s beautifully realised – even during the recent downpours we could feel the heat haze of Aussie summers. We’re not the only ones to recognise her excellence – as well as the John Llewellyn Rhys prize, she’s been shortlisted for the Orange Prize and IMPAC award and won a Betty Trask award. Evie lives in Stockwell and works at the Review Bookshop in Peckham Rye. Don’t miss your chance to ask her random questions and swap books with her on 9th September! The Book Swap is happening at St Swithun’s church hall. See the events page for more information. 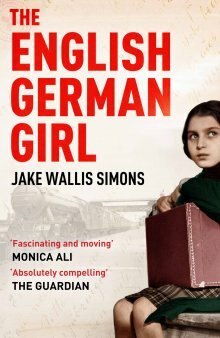 Jake’s second novel, The English German Girl, has been getting a lot of attention lately, and deservedly so. It opens in Berlin the day after Hitler comes to power and centres on Rosa, a middle class Jewish girl living in the city. Obviously, we have a pretty good idea of what’s going to happen to her and her family, and one of the book’s strengths is using that knowledge to build an almost unbearable tension between the reader and these characters, who have no concept of the horror that’s about to befall them until it’s almost too late. Rosa escapes to England on one of the Kindertransports (the evacuation of Jewish children from Nazi-occupied countries between December 1938 and the outbreak of war), but the borders close before she can arrange for the rest of her family to join her. She is left, aged 16, in a strange land at war with her homeland. So we are clearly heavily chuffed to welcome Jake to Lewisham in September. You can read more about Jake and his first book, The Exiled Times of a Tibetan Jew, on his website – which also has videos, audio clips from his radio appearances and articles he’s written. Jake will be appearing with Samantha Harvey on Monday 12th September. See the events page for more details.